Of course, we should never complain. There’s not much we can say about this year except that it’s been exceptionally tough for a number of reasons. 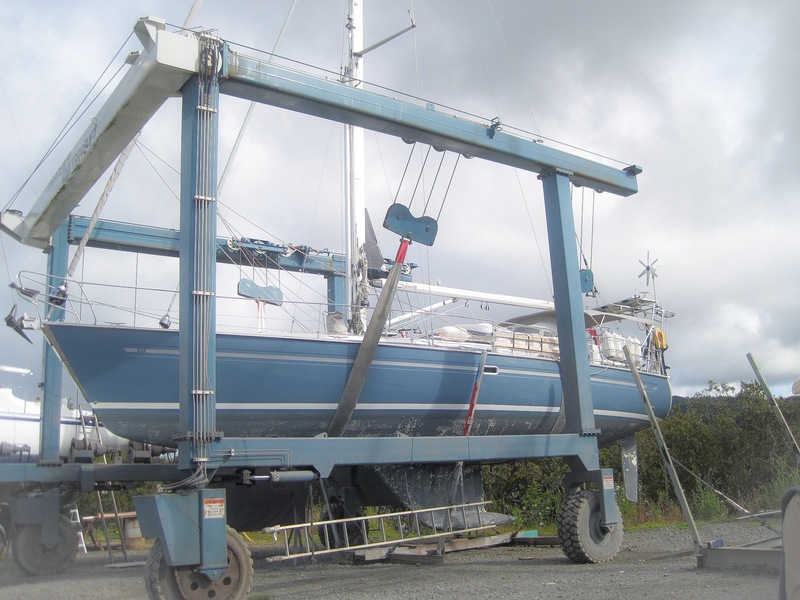 We’d arrived in New Zealand the previous November and hauled out of the water in Docklands Boat Yard in Whangerei. We needed to carry out various works on Sänna and we contracted with local labour to undertake the main bulk of the work whilst we returned to England to sort a few growing problems. 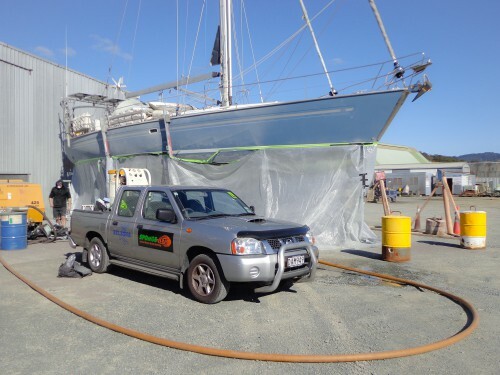 The two big jobs were the repair of the damaged stanchions and pushpit (a result of the dreadful collision on the Brisbane River back in Australia), the removal of old antifouling from the hull and the sandblasting of the keel – which was beginning to show serious signs of rust. Our stern gland also needed replacing as did a number of through-hull fittings to keep things watertight. Most of this work was just maintenance and wear & tear stuff due to long distance voyaging. 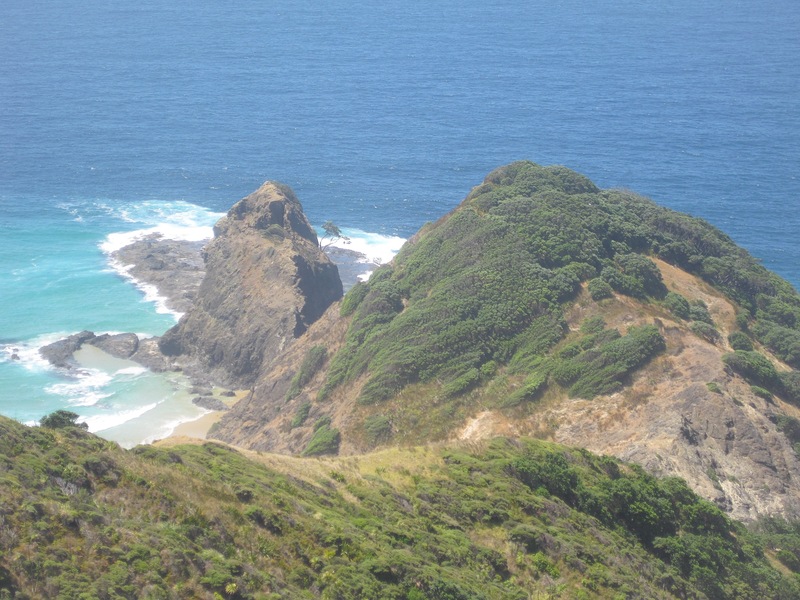 We ourselves left New Zealand at the end of November last year to spend Christmas back in England, with a plan to return sometime early this new year to make a decision about where we would go next. Robert & Jill were sailing Fat Annie in Fiji and Tonga since May and wouldn’t themselves be back in New Zealand until around October time. None of us had any definite plans to complete a round-the-world circumnavigation and our own original destination was only New Zealand… without any clear plan of what to do after we’d finally reached our destination. So, there was some serious thinking to be done too. But then things deteriorated somewhat back in the UK. Dave still owned the majority of his marketing business back in England although he’d sort of dropped out five years previously. A long standing friend had been running the business on his family’s behalf but problems had been building for some time. On hindsight it was always going to happen at some point but the relationship between the senior management and staff deteriorated alarmingly and lead to legal proceedings under employment law. This of course affected the financial stability of the business and so Dave decided to find a buyer for the company. The sale was more complicated because he first had to turn things around, to reverse the financial fortunes of the business and secure everyone’s jobs. This took a little longer than anticipated but everything was finally completed in May and, in achieving this, the problems were pretty much resolved – the business being sold to some very nice people. The whole thing took its toll. Stress is a big thing to cope with and sailing a sailboat through wild oceans isn’t particularly easy either – especially when you suddenly have to find the mindset for managing a business again. Dave has often struggled with the sometimes dubious principles involved in running a successful company and had therefore opted for a different way of life… it was one of his original reasons he decided to jump ship so to speak. That and coping with the death of his young daughter through leukaemia. But stress and the mind illnesses that comes with it manifest themselves in different ways and these pages are not the right place to discuss such things. They are well documented elsewhere for those of you who are genuinely interested. We returned to New Zealand in June to check on work progress and everything was proceeding reasonably well. We made good friends with Jodie & Bruce, Americans working on their own boat CaVa in Docklands but after taking a short driving tour of the North Island’s east coast we once again returned to England; Dave’s daughter Lauren was marrying her long term partner Dan and we had a wedding to attend. In July, Dave gave his beautiful daughter away just as a proud farther should. Sailing wise Fat Annie would be returning to New Zealand in October and we’d plan things around that. Once again we returned to Whangerie in November, when the cold and wet weather had improved, to get Sänna ship-shape to launch back into the water. The work schedule had gone well and Dave finally felt fit enough to deal with things. Once back in Docklands we yet again made good friends in the yard, Richard & Val onboard Kereru were local New Zealanders from Auckland and things rapidly returned to normal. Sänna’s re-launch went along without any major hitches and we were soon on our way northwards to the Bay of Islands. Of course, when we arrived in Opua Fat Annie had already sailed in a few days previously from Fiji and we all had yet another wanderful reunion. Time with treasured friends finally put Dave back on an even keel. Taking the decision to again return to the UK for Christmas, we’ve left Sänna moored safely in Tutukkaka Harbour just south of Whangerei. We’ll finally get things underway in the new year – when we’ll somehow decide where we will go and if we’ll cross the Pacific Ocean to attempt a round-the-world circumnavigation or not. Where Are We Now? Alaska and British Columbia 2015. Current Location.